The Power to think or act without limitations is freedom. Youth Department – Freshly Anointed Baptist Church eliminates the excuse for lack of a place for children to be on Sundays. Music Department – Praises to God in spirit and in truth (John 4:24) are the focuses in both children and adult choirs. Welcome to our home page. It is just what it says…”our” home page or yours if you are looking for a place to worship that reminds you of your home church. We are a family church where we encourage all worshippers to develop a close relationship with God the Father, through His Son Jesus. (Read John 3:16) This is the plan of salvation. Our desire is that everyone is saved. We are challenged to seek God and His righteousness in all things and learn how to live a life that pleases Him, because in doing so, we promote better relationships with one another. Each Sunday morning, a different sermon, with an application, is prepared by pastor Durham or another staff minister. Our Sunday School classes accommodate all ages and begin at 9:45 AM. This is where we explore God’s Word together with Bible teaching. Learning takes place at all levels of understanding here. Giving at Freshly Anointed is a personal form of worship (Genesis 4:1-7). The church is supported through tithes and offerings. 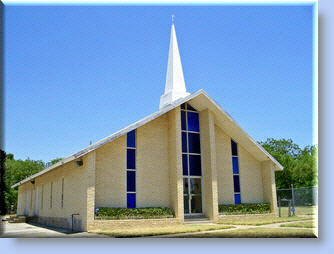 Freshly Anointed Baptist Church in an accountable entity to its congregation and is 501 (c) 3 approved. Your gifts are tax deductible.